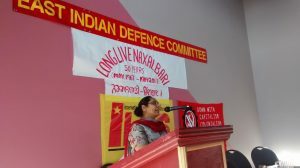 rit of Naxalbari, to support the peasants, workers, women, Adivasi people, and all the oppressed masses of India in their struggle for genuine national and social liberation. And we extend this spirit of solidarity to the Indigenous peoples, proletarians and oppressed people struggling here in Canada and to working class and oppressed people around the world. We condemn state terrorism, repression and crimes against the people perpetrated by the Indian State on a daily basis, including but not limited to “Operation Green Hunt”, the brutal repression against the people of Kashmir, widespread state sanctioned violence against women, state sponsored Hindutva chauvinist sectarian violence, and caste based violence against dalit people. 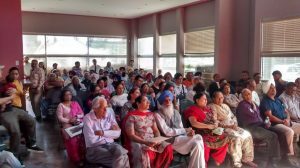 And we condemn the Canadian, U.S. and other imperialist powers who support, condone or provide cover to these crimes against the people and the corporations and elites who benefit from the plunder of the India. 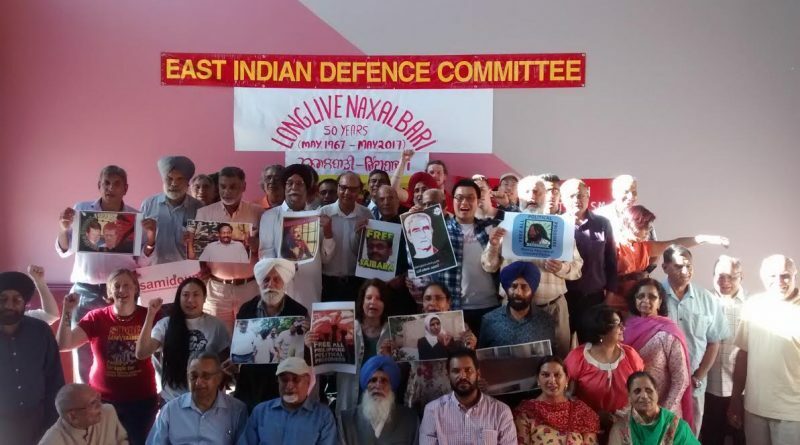 We call for freedom for all the prisoners of imperialism: Freedom for Comrade Ajith, Professor GN Saibaba, and all political prisoners of the reactionary Indian State! Freedom for Leonard Peltier, John Graham and the masses of Indigenous people who face a regime of racist mass incarceration by the Canadian and U.S. colonial states! Freedom for Ahmad Sa’adat, Marwan Barghouti, Ihsan Dababseh and for all Palestinian prisoners in the Zionist occupation jails! Justice for Political Prisoners, victims of extrajudicial killings and the disappeared in the Philippines, Mexico and everywhere!